Our Choral Spring Concert will be held on May 15, 2018 at 7PM in the auditorium. Choral students are to wear white tops and black bottoms. The Vocals and Treble Choir are to white tops and black bottoms. Students should arrive at school at 6:30PM, the night of the concert. The concert should last about 45 minutes. Attendance by students in these groups is expected, and we ask that parents call the school if they anticipate any serious conflicts. Please be aware that your child has been working extremely hard in preparation for their performance. I ask that parents and other audience members plan on staying for the entire performance. I hope to see you, family and friends on Tuesday, May 15, 2018!!!!! 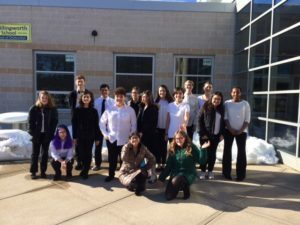 Congratulations to these students from City Hill Middle School that participated in the annual CMEA Southern Region Music Festival held on March 10 at Haddam-Killingworth Middle School. CMEA Southern Middle School Rehearsal and Concert is on for Saturday, March 10. PLEASE DROP YOUR CHILD OFF AT CITY HILL BY 7:15AM. Bus will leave City Hill parking lot at 7:30AM to bring students to the Saturday rehearsal and concert at Haddam-Killingworth Middle School, CT-81 451, Killingworth. Students, be sure to bring: music, instrument, pencil, water, lunch for Saturday and also money for concert tickets ($10.00 each). Students are to dress in their concert attire as there will be no changing facilities. Comments Off on IT’S A GO!!!!! Due to the storm and cancellations throughout the state, Southern Regional Middle School Friday (March 9) rehearsal is cancelled. Please check this website for further developments pertaining to Saturday’s rehearsal and concert.We will notify you of cancellations if it becomes necessary. Saturday, March 10, 2018 – Rehearsal from 9am until concert time. Bus will leave City Hill parking lot at 7:30AM to bring students to the Saturday rehearsal and concert at Haddam-Killingworth Middle School, CT-81 451, Killingworth. 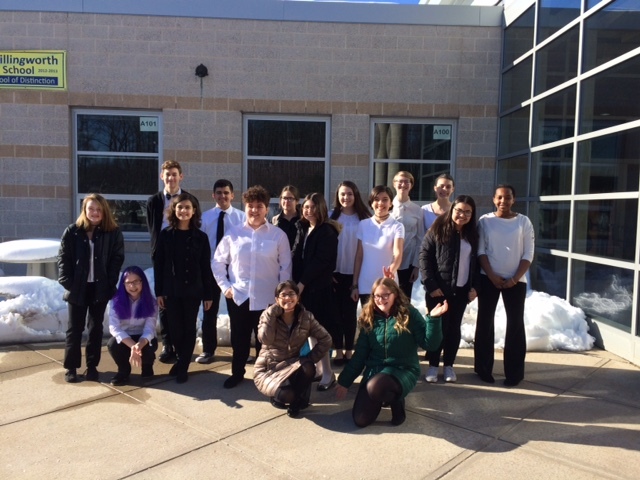 CONCERT: World Drumming, Flute Ensemble, Treble Choir, Mixed Chorus – 1:00pm. Band, Orchestra, Jazz Band – 3:30pm. Tickets will be sold during lunch on Saturday. Students are limited to 2 tickets purchased in advance. IF SENDING A CHECK, PLEASE MAKE IT OUT TO CMEA. Tickets will be on a table (with your child’s last name) by the auditorium door where you can pick them up before entering the concert. BRING: Music, instruments, pencils, music stand, water bottle and bag lunch for and Saturday. CONCERT DRESS-WORLD DRUMMING: black bottoms, black tops, black socks and black shoes. 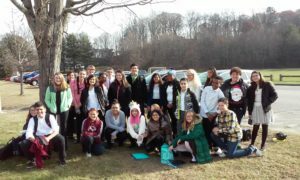 LOCATION: Haddam-Killingworth Middle School, CT-81 451, Killingworth. Choral Winter Concert at City Hill Middle School!! PLEASE NOTE THAT BAND RESULTS HAVE NOT BEEN POSTED YET!!!!! 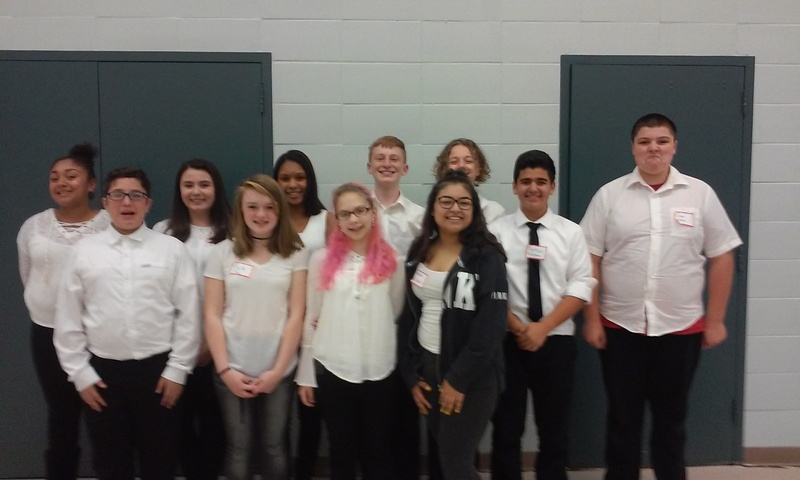 Congrats to these students that auditioned for the Southern Regional Middle School Festival on Saturday, December 2. Results will be in shortly. Congratulations to these students that participated in the annual ACDA Middle school Honors Choir under the direction of Jon Noyes. This was held on October 21 at Manchester High School. Congratulations to these City Hill Middle School students that participated in the CMEA Southern Region Middle School Festival on March 3 and 4, 2017. Friday, March 3, 2017– Rehearsal from 4-8pm. Students will stay after school on Friday to take the bus to and from the rehearsal at Haddam-Killingworth Middle School, CT-81 451, Killingworth. They will return to school at 9:15PM. PLEASE BE PROMPT WHEN PICKING UP YOUR CHILD. Saturday, March 4, 2017 – Rehearsal from 9am until concert time. World Drumming, Treble Choir, Mixed Chorus – 1:00pm. Tickets will be sold during dinner on Friday night and lunch on Saturday. Students are limited to 3 tickets purchased in advance. Any tickets remaining after the conclusion of lunch on Saturday will be sold at the door. IF SENDING A CHECK, PLEASE MAKE IT OUT TO CMEA. BRING: Music, instruments, pencils, music stand, water bottle and bag dinner/lunch for both Friday and Saturday. black bottoms, white tops, black socks and black shoes. Any questions/concerns, please email Mrs. Beck (chorus) or Mrs. Dravis (band, world drumming).